The new A-class hatchback is less "edgy and loud" compared with its predecessor. Like a reflection in a shimmering pool of mercury, the rising edge of the side sill on the third-generation A class mirrors the downward slopping arc of the car's greenhouse. Almost instinctively the eye joins the two to create one fluid shape traced in metal, lending it a more dynamic impression. Yet what may perhaps be the most prominent feature etched into the body of the popular hatchback has been carefully sanded away on its successor, symbolizing a new more minimalist approach at the brand. Daimler CEO Dieter Zetsche wants to take a step back with his luxury brand's entry hatchback. Mercedes will drastically reduce overly expressive cues -- not just in the A class but in all future models as part of an evolution of its design philosophy. 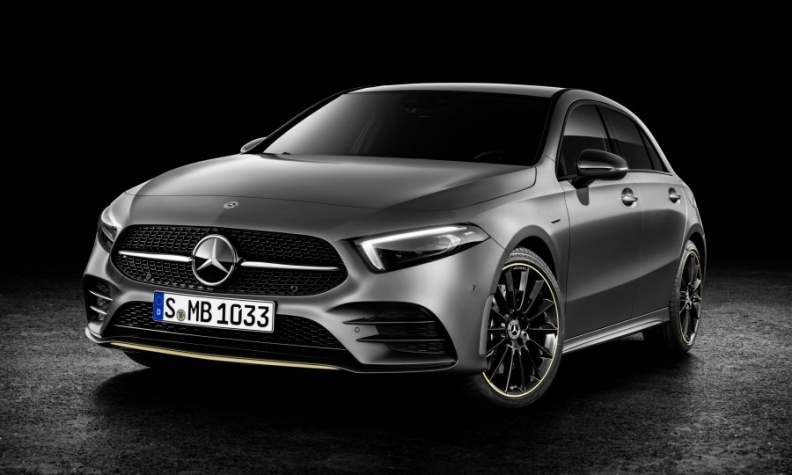 "The previous A-class design had to be edgy and loud for a reason: to attract attention, a concept that has been widely adopted by the competition, so it's time to move on," he said. "As our head of design, Gorden Wagener, puts it: 'If you like it, take a line off. If you still like it, take another line off'." Contours help divide the car into light and dark surfaces, building tension and drawing attention to specific styling cues. Sometimes they go so far as to create the illusion the car is moving even when standing still. To emphasize their importance, many lines come with colorful names. Mercedes, for example, has ones dubbed Catwalk Lines or Balancing Lines. Audi designers call the shoulder crease in the side of its cars the Tornado Line. Lately, however, lines have proliferated at an alarming rate. "If you look around at what others are doing, a lot are chocking their cars full of lines, trying to achieve the sharpest edge in the world with the smallest radius. It looks very aggressive – you don't want to touch it," said Robert Lesnik, Mercedes' head of exterior design. "You're afraid you could almost hurt yourself." 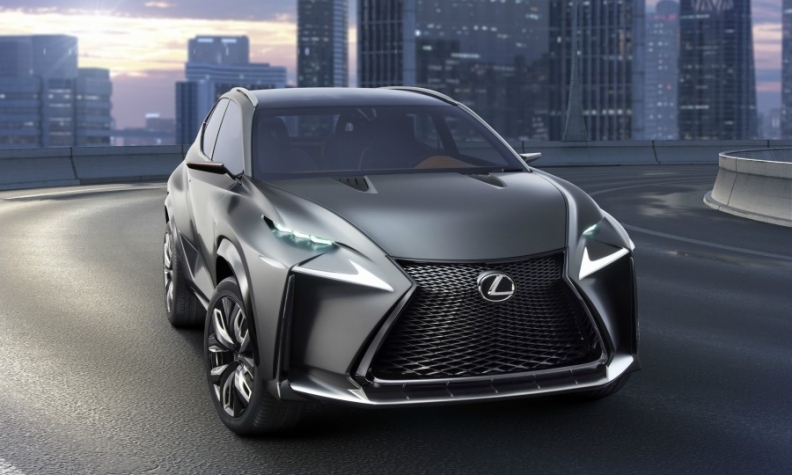 Some vehicles that are defined by their sharp lines include the Infiniti Q30 compact hatchback and the Lexus NX compact SUV. By comparison, Hyundai has chosen more low-key looks in Europe, opting not to adopt the flashier styling of models such as the Sonata. With the quality, fit and finish of most passenger cars so polished, it's difficult for any single automaker to differentiate itself from the masses. Developing a unique design has assumed an even more crucial role when it comes to defining brands in the eyes of consumers. The single-biggest reason a customer purchases the A-class hatchback over a competitor model is its aesthetics, according to Mercedes. Zetsche's brand is not the only one where the pendulum is swinging in reverse. BMW is also looking to clean up its sheet metal. Both German brands are experimenting with other design aspects including the shape of the grill, drawing inspiration from heritage cars such as the SL Panamericana from 1952 or reinterpreting them anew with concepts such as the BMW i Vision Dynamics. "There is more competition now. The world has changed," said BMW Group design boss Adrian van Hooydonk. "It's a faster pace, so our design needs to change faster as well." Some observers see the use of lines by automakers on models such as the VW T-Roc as a way of demonstrating technical prowess and precision. Exterior styling has gone through decades where a car's look has changed dramatically between classic tailfins of the 1950s and '60s to the wedge-shaped styling fashionable in the '70s and the econoboxes prevalent in the '80s. Yet ultimately the task was the same – achieving the right proportions for a four-wheel vehicle equipped with a combustion engine under the hood. New advances in metalworking such as hydroforming, in which water pressure is used to shape exterior sheet metal, mean designers at both premium and volume brands have more freedom to become expressive through their line work. 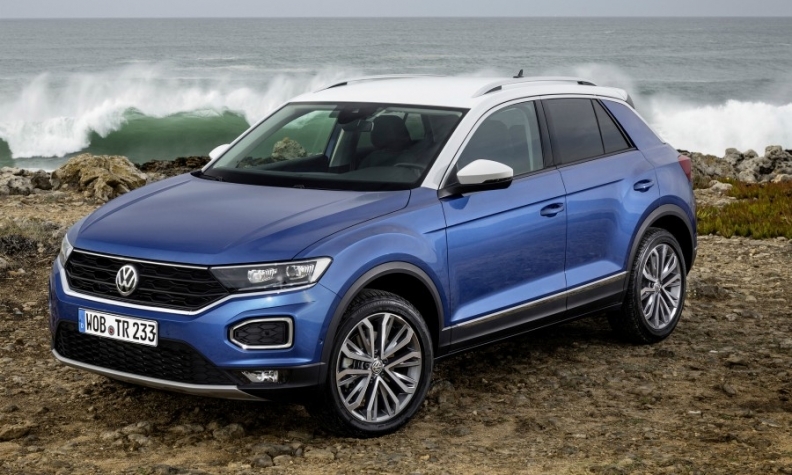 Even the restrained Germans, guardians of the Bauhaus movement that stipulates form follows function, are succumbing to the irresistible urge to overdraw their vehicles – especially those designed for a younger audience such as the Volkswagen T-Roc. Some see it as a way of demonstrating their technical prowess and precision. "It's a question of philosophy. Ultimately the laws of physics are the same no matter the manufacturer -- that which they can press into metal, we can do likewise. The question is: Do we want to?" asked Mercedes' Lesnik. When asked whether the average car buyer might not feel the new designs are racy enough with a more minimalist approach focused on modelled surfaces, one senior designer at Mercedes dismissed the idea. "On the contrary, look at one of the most timeless examples of automotive design – the Porsche 911. How many lines do you see there?" he asked. Van Hooydonk agrees less is more. "We're going to clean things up," the BMW design chief promised. "We're going to use fewer lines; the lines that we will have will be sharper and more precise." Mercedes is already starting and the new A class, which goes on sale in May, is just the beginning.